In Jesus: A Revolutionary Biography, John Dominic Crossan writes what he calls a “startling account of what we can know about the life of Jesus.”  Crossan, who currently holds a Professor Emeritus of Religious Studies position at DePaul University in Chicago, was co-chair of the Jesus Seminar from 1985 until 1996, and has written over twenty-five books on the historical Jesus and early Christianity. Written for a popular audience, Jesus portrays Crossan’s personal “reconstruction of the historical Jesus derived from twenty-five years of scholarly research.”  In this work Crossan seeks to outline the life of the historical Jesus that he believes lay beneath the canonical Gospel accounts in a manner as accurate and intellectually honest as possible. Upon reading this book, the reader will see that Crossan has assembled a variety of interpretations that, when combined with his theological and philosophical presuppositions and understanding of the canonical Gospel narratives, makes for a potentially persuasive and fairly historical narrative of the life of the historical Jesus. As a part of the Jesus Seminar, Crossan’s name understandably carries with it a certain stigma in certain circles of theology and education. It must be noted that this review attempts to digest and comment upon this particular work from an academic and literary perspective. This review will not provide exegesis of Crossan’s theological or philosophical assumptions and considerations, but will only comment upon the coherency of his arguments as presented in a book intended for popular consumption. Of primary concern for this review will be considering its purposefulness and adherence to such general guidelines of any introductory study of the Gospels, such as those presented by Mark Allan Powell in his work, The Fortress Introduction to the Gospels. The central problem of historical studies of Jesus that Crossan outlines in his Prologue constitutes both the fourfold record of the gospels and the underlying historical inaccuracies that he believes that such a record necessitates, as well as his claim that most interpretations of the historical Jesus have actually been creedal rather than academic. For Crossan, a proper search for the historical Jesus will provide answers that are “not a disguise for doing theology and calling it history, doing autobiography and calling it biography, doing Christian apologetics and calling it academic scholarship.” Such methodology, calling for academic veracity instead of personalized research, demonstrates great continuity with the claims of scholarship and academic study of the Gospels as outlined in Powell and elsewhere. Crossan purposes to arrange the datum and reconstruction from his sources in manner that presents a historical and not personalized image of Jesus. The search for the historical Jesus from Crossan’s perspective thus sets out using narrative reconstructions (from canonical and well as non-canonical accounts) and contextual considerations of the historical Jesus’ context. Crossan begins by considering Jesus’ birth narratives in parallel to other well-known figures of his context. He examines Jesus, the claimed Son of God, in light of another son of god, Caesar Augustus of Rome, in comparison to John the Baptist in the Gospel of Luke, and in light of Moses in the infancy stories of Matthew, before touching on the historical context of Jesus as a carpenter’s son (and therefore peasant) from Nazareth. For Crossan’s reconstruction, the accounts of Jesus’ virgin birth in Bethlehem before shepherds and wise men before a flight to Egypt are pure fiction, which distract from an all-important question in the search for the real Jesus: What did this man do that caused his followers to make such claims? Drawing on Josephus and what he understands to be the real message of John the Baptist, Crossan concludes that while Jesus of Nazareth was not an apocalyptic preacher like John, he was indeed an eschatological figure who taught a culture bending form of living. This radical message of Jesus for Crossan represents the key to understanding the historical man. His disciple’s intensity and spreading of Jesus’ message all follow from their commitment to Jesus’ radical ideas of open commensality and a radical form of egalitarianism that sprang from the ancient peasant ideal of justice that Jesus would have been raised under. In his chapter on the body, Crossan fortifies his view of Jesus’ radical view of people and society by examining Jesus’ healing activity and miracle material. Later, Crossan examines early Jesus movement mission movements in light of his interpretation of Jesus’ egalitarianism and use of magic in healing activities, concluding that perhaps Jesus was the personification of a Jewish form of philosophical Cynicism. Concerning Jesus’ death, Crossan concludes that his radical message upset the social order of the Jewish people enough to ask the Romans to have him killed, leading to a public death from which there was likely no private burial, let alone a resurrection. 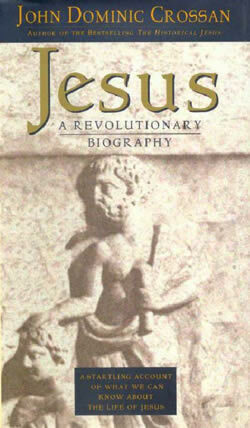 Crossan concludes Jesus: A Revolutionary Biography was commentary on the spread of the Jesus movement following his death and the subsequent modifications, both in content and legendary narrative, that gave rise to the New Testament writings and the form of Christian faith and belief that began to spread throughout the Roman Empire, modifications that changed the historical man Jesus into the deified Christ. Overall, Crossan presents a narrative of the historical Jesus as egalitarian revolutionary that could be plausible given his presuppositions. However, there are several concerns within his writing worthy of critique. First, one most note that much of Crossan’s evidence appears to be assumed rather than argued, though a certain amount of this results simply from the form and purpose of the book. Second, concerning his portrayal of peasant ideology, what information Crossan does use appears to not apply to first century Palestine, as he quotes material from an 1893 peasant uprising, and may have made a stronger argument by citing a cause such as feelings of Jewish resentment of Rome. The third issue appears to be most widespread and entails Crossan’s treatment of the sources that utilizes in determining the criteria of his historical Jesus. This reconstruction of the historical Jesus uses non-canonical sources in manner that does not fit the criterion used to judge and disseminate accurate information from the canonical accounts. Whereas Crossan appears to be highly skeptical in applying criteria such as multiple attestation or uniqueness to the four canonical Gospels, his use of sources such as Josephus, the Epistle of Barnabas, and especially the Gospel of Thomas indicate poor use of source material at best, and a motive and message beyond the purely academic at worst. To treat the Biblical canon with extreme skepticism while seemingly accepting other ancient sources as historical verifiable by modern standards of historiography simply does not meet proper scholarly criteria, and may betray some of Crossan’s own biases in his construction of the historical Jesus. Jesus: A Revolutionary Biography, while presenting a reconstruction of the historical Jesus of Nazareth that for the most part appears to be consistent within Crossan’s stated assumptions and purposes, does indeed bring into question its own scholarly merit by the use of source material. Using criteria such as the importance of academic soundness and fairness in treatment of sources presented in a book like Powell, Crossan’s presentation comes across as fair overall, though with room for improvement, and presenting by no means a watertight case for his interpretation of the historical Jesus, as Crossan’s narrative would hold far more weight were all sources treated with the same academic skepticism. It does not seem that Crossan’s error of sources prevents his view of the historical Jesus from being held by those who have similar theological and philosophical presuppositions; however, his treatment of sources seems to provide an easy critique for those who already disagree with his foundational positions. It seems safe to say that in reading Jesus: A Revolutionary Biography, the reader will be struck by Crossan’s assembly of a variety of concepts and ideas that appear to work well within his assumptions for the construction of one potential view of the historical Jesus, though not flawlessly. 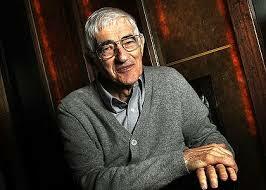 John Dominic Crossan. Jesus: A Revolutionary Biography. Harper Collins: San Francisco, 1994. Front Cover. Mark Allan Powell. The Fortress Introduction to the Gospels. Fortress Press: Minneapolis, 1998. Powell, 1-9; One must note that this area of consideration includes what has been the greatest charge against Crossan (and the Jesus Seminar), that instead of employing fair and verifiable criterion in searching for the historical Jesus, he has instead arranged criterion that excluded the greatest amount of Christian canon and tradition in a manner to enable an ‘academic’ picture of the historical Jesus to match their own presuppositions. Crosaan is admittedly harsher with Josephus, especially when considering material related to John. I think the problem here is that this book is written for a broader audience. In his books directed towards a scholarly audience, Crossan actually explains in detail how he judges on the historicity of the available sources. However, to suggest that Crossan knowingly uses inauthentic sources to promote a certain message on the other hand, seems to me a judgement that could do with some more evidence.